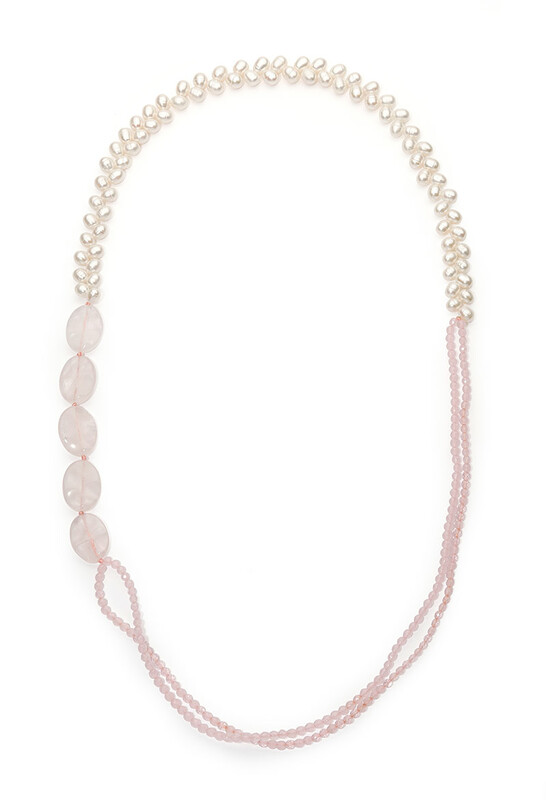 Inspired by the Southern Highlands luscious landscape, the smooth, rounded shapes of bonbon colour rose quartz that adorn this necklace are highlighted by the irregular shaped white fresh water pearls. A bold and absolutely stylish statement this necklace can be worn for any occasion. Note: as we don’t mass produce, this is a one off designs, but this product can be made in similar style. Please enquire for custom order.